Here’s the story of that amazing weekend in 1987, August 29th and 30th, just before the big fire at Hull Mountain. Information is taken from my journal and from talking to others at the time. On Saturday, at Hull, Ivan launched after Roy on his brand-new Z-1 (first flight), and they both got very high. I launched and got to 11,000′ before heading for San Hedron. I was down to 7400′ before I got to 11,000′ there and decided to head south. Down to 7100′ over the hills behind the dam, I got a thermal to 10,500′ and headed to Elk. Ralph leaving the dam, on his way to Elk. Got there with 8700′, crossed to Mid-mountain, getting a thermal to 10,500′ over the campground. Continued south over Mid-mountain to land just south of Lakeport for 35 miles. 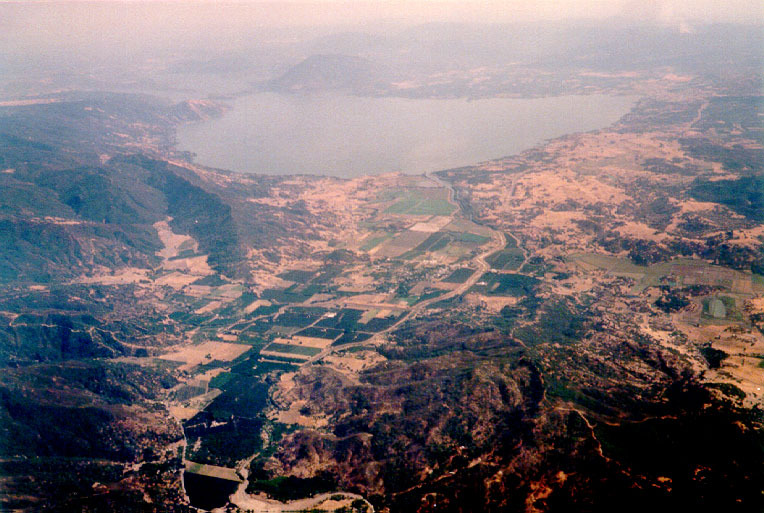 Ralph took this photo from over the Elk LZ, on his way to Lakeport (seen at upper-right). Mid-Mountain comes in from the lower-right corner towards the center. Rich’s house is on the ridge next to Bachelor Valley, half way down right edge of photo. The smokey sky is from fires burning in the area. Roy had also made the crossing to Elk behind me, and made it to Rich’s house, for a 25 mile flight. He’d gotten to a record 15,600′ over Hull. Ivan had gotten to 12,500′ behind the dam, but didn’t have his radio, so didn’t leave. Bill Vogel had loaned out both his gliders that day, his Z-1 to a guy named Jody to test fly, and his C-2 to Roger, so had to watch from the ground. Rich, Roger, Stretch and Anne were flying from Elk that day. Rich and Stretch flew to Lampson Field. 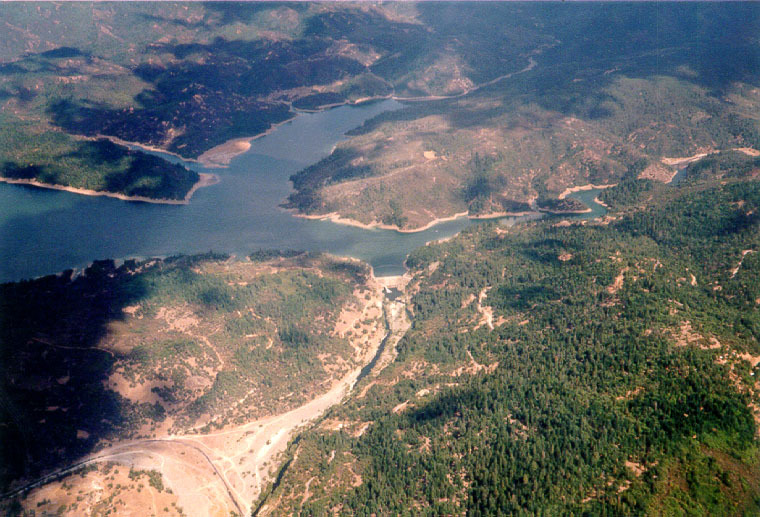 Roger, who was low and struggling when I flew over him, got high and flew over Cow Mountain home to Ukiah. And Anne flew to Scotts Valley. On Sunday, the 30th, Rich, Mark Bennett, Stretch and Anne came to Hull to fly. Those who got off early in the SSE conditions got up high. The rest of us found a lot of turbulence and didn’t get much over 8000′. Rich, Stretch, and Mark had gotten off early, got very high and headed for Elk Mountain. Mark landed at Rich’s house near Batchelor Valley. Stretch got high over Mid-mountain then turned around and flew back to Hull, to be the first to go both ways. Rich got high over Elk (15,300′), flew to his house, got to 14,000′ there, then headed for Mt. Konocti where there were clouds. He made it there with 4000′, got up, then on to Lower Lake, then up again and on to Hidden Valley, then on to almost Pope Valley where he landed at a small private airstrip for a record 58 miles or so, maybe more. All in all, an amazing weekend. The big fire started during the following week. Triggered by lightning strikes on San Hedron, it just missed the cabins at Lake Pillsbury Ranch, burned up Hull Mountian, missing the lookout, but burned up to Timberline Camp (timberline launch). 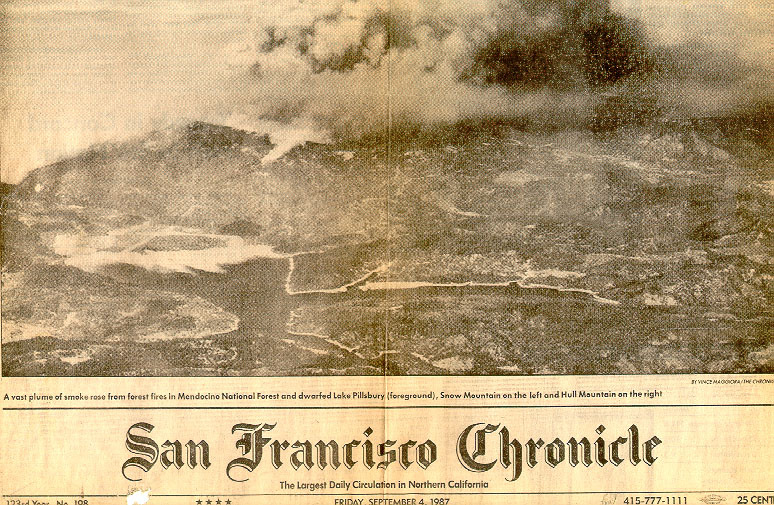 Over 50,000 acres burned. The Timberline launch was the silver lining for us in later years. 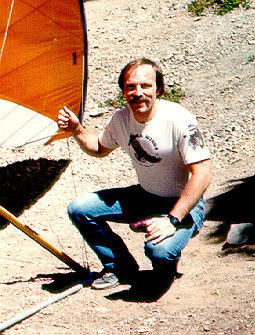 This entry was posted in Flight Reports and tagged Hang Gliding, Site Record on May 1, 2000 by Reavis Sutphin-Gray.